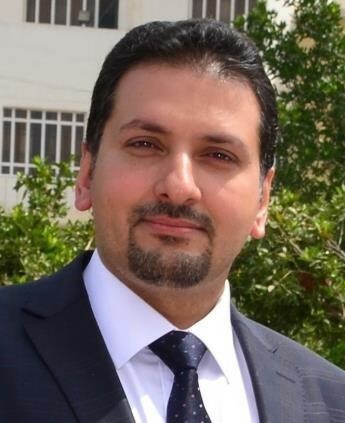 Personal Information: First name: Ahmed Middle name: Muhsin Last name: Yousif Surname: AL-Mayali Date of Birth: 1980 Place of Birth: Iraq Gender: Male Marital status: Married Nationality: Iraqi Languages: Fluent in Arabic, Fluent in English Computer skills: very good user in windows, Microsoft applications& internet. Address: Kufa University, Dentistry College, P.O.P department . Mobile: 00964-7725665902 E-mail:[email protected] [email protected] Present Occupation : Assistant Lecturer in P.O.P department -Dentistry College –Kufa University. (Degrees (Qualifications : 1-	B.D.S Baghdad University, 2004. 2-	M.Sc. Ortho. Baghdad University,2014 -Certificate in protaper system of Endodontic treatment, Iraqi dental association, Baghdad, 2006. -Certificate of attendance for craniofacial trauma of British association of Oral and Maxillofacial surgeons of Royal College, 2010. -Certificate of implantology, Kufa University, 2010. -Certificate in Endodontic treatment, Kufa University, 2010. -Certificate of attendance for 1st IDA annual conference, Iraqi dental association, Erbil, 2011. -Certificate of attendance for 2nd IDA annual conference, Iraqi dental association, Erbil, 2012. -Certificate of attendance for 1st Najaf dental conference, Iraqi dental association, Najaf, 2012. -Certificate of attendance for 10th orthodontic conference, Iraqi orthodontic society, Baghdad, 2013. -Certificate of attendance for Beirut international dental conference, Beirut, Lebanon, 2014. -Certificate of attendance of Style Italiano Philosophy work shop, Beirut, Lebanon, 2014. -Certificate of attendance for AEEDC Dubai international dental conference, Dubai, UAE, 2015. -Certificate of attendance for2nd Najaf dental conference, Iraqi dental association, Najaf, 2015. -Certificate of attendance of Dental veneers work shop, Iraqi dental association, Najaf, 2015. -Certificate of attendance of Crown & Bridge work shop, Iraqi dental association, Najaf, 2015. -Certificate of attendance of Bleaching work shop, Iraqi dental association, Najaf, 2015. -Certificate of attendance of Porcelain Laminated veneer work shop, Iraqi dental association, Najaf, 2015. -Certificate of attendance for3rd Najaf dental conference, Iraqi dental association, Najaf, 2016. -Certificate of attendance of orthosurgical correction of sever Dentofacial deformity work shop, Iraqi dental association, Najaf, 2016. -Certificate of attendance of 37th International Dental Show IDS, Cologne, Germany. Researches: -Pharyngeal Airway Volume and its Relationship to the Facial Morphology in Nasal Breathing and Mouth Breathing Subjects (A comparative computerized tomography study) Journal of Baghdad College of Dentistry , 2014 .